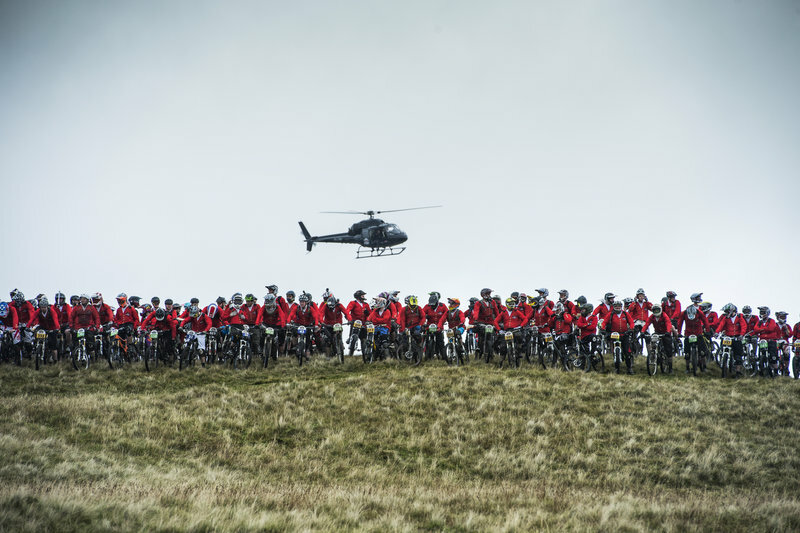 Red Bull Fox Hunt will return to Ireland this October. The course, combining sections of existing downhill track with additional mountain and multi-terrain sections, will begin atop Slieve Martin before descending through sections of trail, moorland and forest to the sprint finish in the grounds of Rostrevor’s Kilbroney Park. Over 400 bikers are expecting to take part and try to beat the fox. From decorated pros to weekend warriors, the pack will tear down the three and a half miles of unforgiving downhill course encompassing wind bleached moorland, mud-spattered forests and hair-raising sprints, each adrenaline pumped biker tirelessly battling to cross the finish line before the advancing fox. For more info, check Red Bull Fox Hunt 2015. Red Bull Fox Hunt in Rostrevor, Northern Ireland in, 2013. 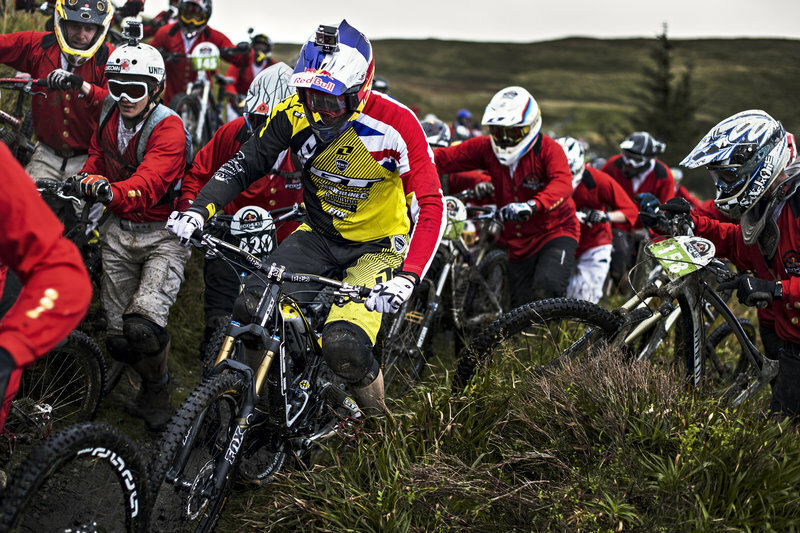 Gee Atherton performs at the Red Bull Foxhunt in Rostrevor, Northern Ireland in 2013.